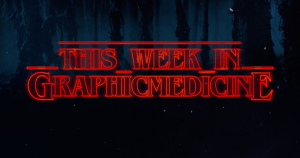 This week, a turn toward the less explicitly medical for my picks – two webcomics that deal with different aspects of sexism. One is actually a couple of years old but recently made the rounds again – and speaks to me a great deal – is by Luke Humphris: What Do We Mean When We Say “Toxic Masculinity?”. This is an example of how social and cultural norms impact medicine – if men are expected to be tough and strong, then they are less likely to seek out appropriate care, especially for mental health, and this leads to not only harm for individuals but for those around those individuals as well. This leads to the second comic, published today, also in The Nib, by Aubrey Hirsch: Taking Back the Streets. Street harassment is not only rude – and dangerous – but traumatizing and is more common than anyone wants to admit. As Aubrey’s comic discusses, there are short and long-term health impacts of this – directly in trauma and PTSD, and indirectly in increased stress, changes in behavior to avoid being in public, and far more. 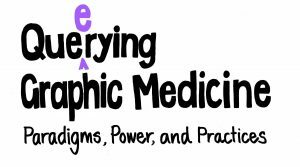 I wanted to share these two examples this week, because they are important, but also because of ongoing discussions – such as this one – about the scope of graphic medicine. As I mentioned there, it is perhaps less productive to frame the field as “this is definitely graphic medicine” and rather focus on how something might BE graphic medicine depending on the way in which you are viewing, discussing, creating it. This is, of course, not terribly helpful for collection development decisions, but perhaps can help in these dangerously close to line-drawing discussions. Twitter: Rachel Lindsay joined us at Countway! Follow this thread (and the one’s it branches to) to see a recap on Twitter! Can Art Heal Our Healers? When Did Marvel Ban Smoking in Their Comic Books?